This year’s EU Sustainable Energy Awards have a special category for Islands ! 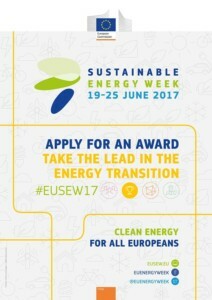 The EU Sustainable Energy Awards, which take place in Brussels in June, recognise outstanding innovation in energy efficiency and renewables. Nominees/finalists are chosen from a shortlist of the year’s most successful projects for clean, secure and efficient energy. With prizes from an expert jury and European citizens, the Awards highlight new ways to shape Europe’s energy future. The ENERGY ISLANDS: LEADING CLEAN ENERGY AUTONOMY category is an award for initiatives to increase sustainable energy security in communities not connected to a wider grid. 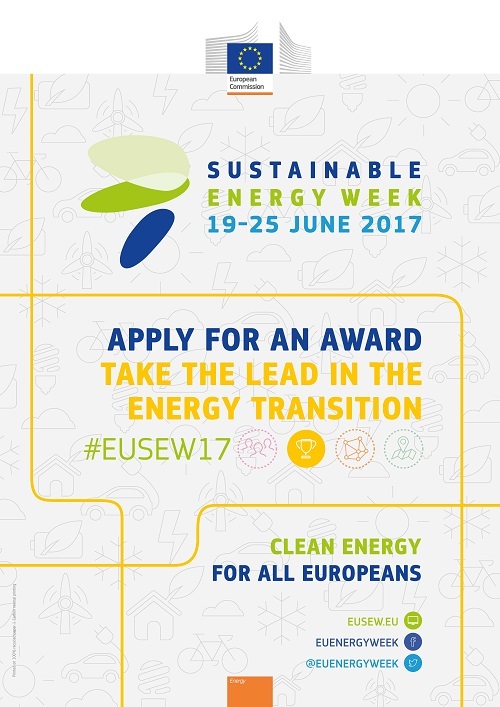 Information about the awards competition, including the categories, eligibility and assessment criteria is on the EUSEW website. The deadline for applications is 03 March.